Creating a website of your own may seem like a scary task, but it doesn’t have to be. 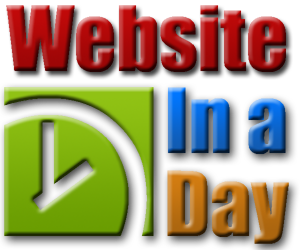 With a little guidance, you should easily be able to create a professional looking website in just 1 day. 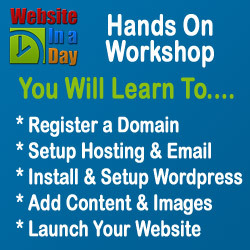 As a part of our WordPress one days training workshop you can start with little or no website design experience and leave at the end of the day with slick, fully functional, search engine friendly, live website that you have created yourself. Our WordPress Training course will give you the skills, knowledge and confidence to build great looking websites quickly. You will also be able to update and maintain the site yourself – this could save you many thousands of dollars in development costs and consulting fees. You will not only leave at the end of the day with a fully functional website, but also the ability to go home and create more sites if you choose. This course is tailored to suit businesses, affiliate marketers and individuals who want the control of creating a website, or as an introduction to those who would like to offer website design or development services. Some of our srtudents even go on to becomne WordPress trainers in their own right. Our WordPress training workshop includes a USB with all software required and a training manual to take home as reference. These WordPress training courses are currently run as one on one or small groups on a daily basis in both Brisbane and on the Gold Coast, Queensland, and by special request across the rest of Australia. To check availability or to find out more, please contact us.